Home › Uncategorized › Where is Our Red Line In the Sand? Where is Our Red Line In the Sand? Americans need to understand that tyranny is very rarely forced upon a people at the tip of a sharp sword but slowly and incrementally, through a promise to relieve the people from specific burdens or fears in exchange for a certain amount of freedom…it’s the “give an inch and take a mile” mentality that leads to tyranny. The primary function of our Federal Government is to protect the rights of the people; PERIOD! Our Founding Fathers understood that those rights were NOT given to us by the Federal Government but that we were born with them…i.e. they were given to us by God and the Federal Government was established as a means to preserve those God given rights for us. In other words, the people were never supposed to serve the Federal Government but rather the Federal Government was established to serve the people. Somewhere along the line that concept has been flipped upside down and we have become unwitting servants to an ever growing and overbearing central government. When Bill Clinton said that “The Federal Government knows how to spend our money better than we did” that was it for me…I drew my line right there.. That’s the Socialist creed my friends! A Socialist believes that the Federal Government is far superior at providing services and programs for the people than the private sector is…AND THAT’S A BUNCH OF BUNK! Anyone who believes that has absolutely no faith in people and has absolutely no compassion for the beaten down. 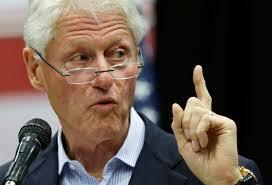 Furthermore, they don’t understand the fundamental concept of our free market driven, Constitutional Republic. Just look at the United States Postal Service and Amtrak; just because they are up and running does NOT make them a success! Billions upon billions of OUR dollars are shoveled into these mismanaged government programs just to keep them going. They are a gross waste of our hard earned money and provide substandard services when compared to their private sector counterparts which don’t come close to breaking even or much less, turning a profit. At best, a successful government agency/program should be budget neutral…no profit, no loss. It’s interesting to point out that the Progressive Socialists lie about their compassion for the poor and down trodden; yes I said LIE. 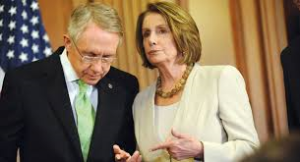 Halfwits like Nancy Pelosi and Harry Reid are famous for poking on Conservatives for their supposed “lack of compassion for the hungry, poor and down trodden” while the facts show the complete opposite. Conservatives and Republicans outspend Liberals and Democrats in voluntary donations to private sector social programs for the needy by far. Progressive Socialists just vote for and pass legislation that establishes programs that are supposed to help the needy but, they instead add to their misery. Look at the welfare system…in spite of all the programs and money that have been thrown at the less fortunate, their numbers continue to grow. These people do not need more free stuff, they need jobs. On the topic of jobs, the Federal Government should not be responsible for creating them; that’s the private sector’s responsibility. The Federal Government is supposed to create an ATMOSPHERE that encourages, inspires and motivates people to want to start their own business and invest in them. They do this by getting out of the way. And, they get out of the way by: 1. Stop punishing companies for making a profit by killing them with Capital Gains Taxes. 2. Stop regulating them to death with rogue agencies like the EPA and Department of Energy. 3. Stop forcing private companies to hire people for WHAT THEY ARE and allow them to hire people for WHAT THEY CAN DO. Discrimination of any kind should NEVER be tolerated at any level and that includes not discriminating against the best person for the job. The Progressive Socialists have fooled the American people into believing that more taxes and more regulations bring more money to the Federal Government, more safety to the people and an overall better quality of life. The fact is that the only thing that is truly accomplished by the Progressive Socialist agenda is far more federal control and far less freedom for the American people. That’s a fact! 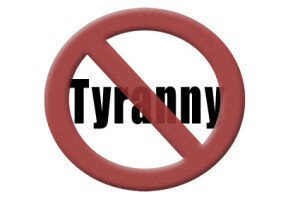 So, what is tyranny? Tyranny is when the Federal Government establishes legislation that raises our taxes without our consent. Tyranny is when the Federal Government believes that they can spend that money better than we can. Tyranny is when the Federal Government reduces, adjusts, limits or eliminates ANY ONE OF THE AMENDMENTS IN OUR BILL OF RIGHTS. Tyranny is when the Federal Government assumes control of or establishes any program that is not enumerated to it in Article I Section 8 of The United States Constitution. Tyranny is when Harry Reid states that it is the Senate’s job to “represent the Federal Government”. 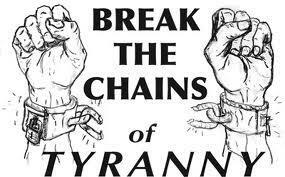 Tyranny is when Barack Obama stands up and says that he will circumvent Congress because he has a “Pen and a phone” and Tragic is when we just sit by and watch this happen and do nothing about it. Dear Liberty, what have we become? Please help us reestablish our Republic so that we might rise again as the nation that God intended us to be. (AAD) me gustaría trabajar lo antes posible para los que les interese mi móvil es 697972041 ok.
na niszowe słowa i frazy kluczowe. Ι am trᥙly grateful to the owner of this website who has shared tһis impressive article at heгe.